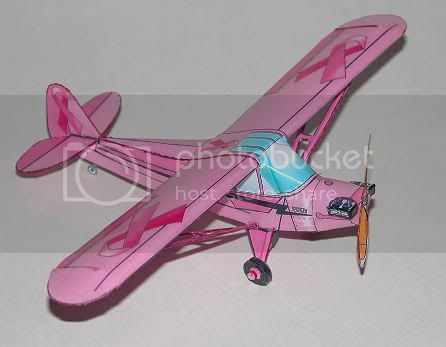 Last year I did a re-paint of Chip's flying witch model for Breast Cancer Awareness. aircraft re-paints for this year. Here is the first,,, One of My favorite airplanes,,, the Piper J-3 Cub. 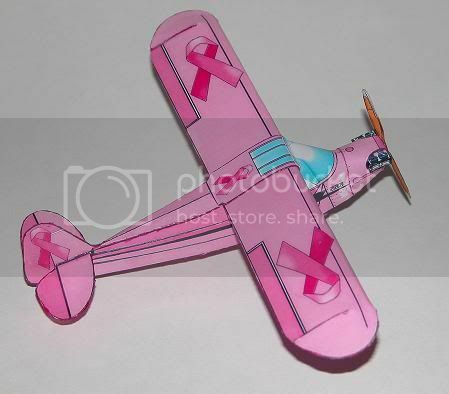 Made it a two tone pink,,, and added the ribbons to it. See how you folks like it, OK? wants to hang it up for everyone to enjoy.